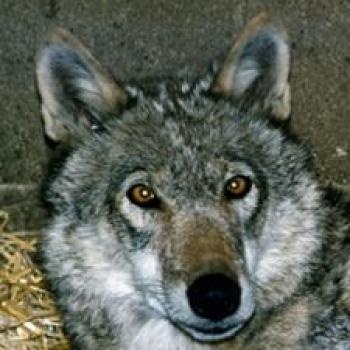 Kenai was one of the founder wolves of the UK Wolf Conservation Trust. Kenai originally came with her brother Kodiak from Woburn Safari Park in April 1994, at eight days old. She initially lived with Kodiak and an older wolf, Denali. 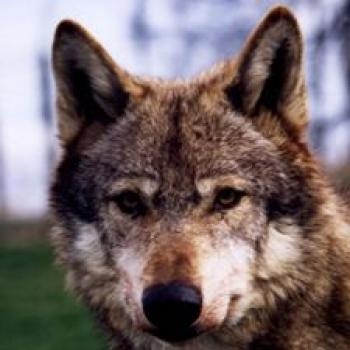 Later as the Trust developed and more wolves arrived, for a time she was the alpha female, ruling over Duma, Dakota, Kodiak, Alba, Lunca and Latea. However she was a very bossy leader and in 2001 the rest of the younger pack deposed her. For her safety, she and Kodiak lived in a separate enclosure for the remainder of her life. In later years Kenai suffered from cancer and in 2006 she lost her battle with the disease. She was 12 years old. Kenai was a wily, charismatic wolf who never suffered fools lightly. In her day she ruled the pack with a rod of iron and hen-pecked Kodiak until her dying day. She was easy to nurse and often allowed you to carry out invasive procedures like removing stitches without the use of sedation. She is sorely missed by all who knew her.